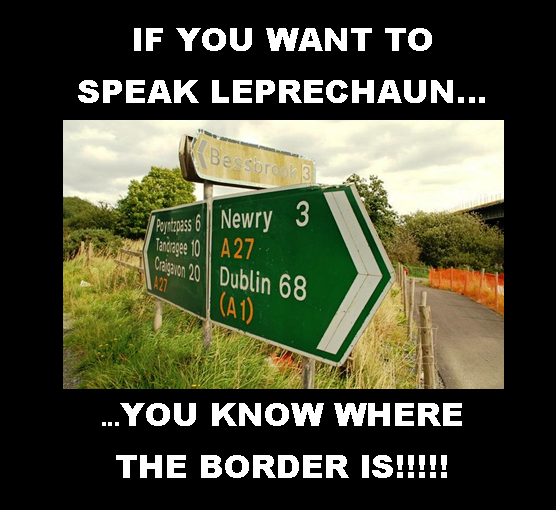 DEATH OF THE LEPRECHAUN LANGUAGE | AMERICAPHILE RESURGENT!!! EVEN A BROKEN CLOCK IS RIGHT TWICE A DAY!!!!!!!! THIS RULING FROM THE DUBLIN REGIME’S VOLKSGERICHTSHOF IS SURPRISINGLY IN FAVOR OF LANGUAGE FREEDOM!!!!!!! 7.1 For those reasons, I am satisfied that Mr. Ó Maicín [BWAHAHAHAH!!!!] enjoys a constitutional right to conduct official business fully in [LEPRECHAUN/GNOMISH]. However, that right is not absolute and may have, in some circumstances, to give way to considerations, deriving from the significant number of persons (even in Gaeltacht [BWAHAHAHAH!!!!] areas) who would not have sufficient competence in Irish, to the need to respect the rights of others to use English as an official language and to the competing constitutional imperative that juries be truly representative. 7.2 In current conditions, and even in Gaeltacht [BWAHAHAHAH!] areas, it does not seem to me that it has been established that it would be possible to empanel a jury with sufficient competence in [LEPRECHAUN/GNOMISH]. to conduct an important criminal trial without the assistance of a translator without, at the same time, excluding quite a significant number of persons, otherwise qualified, from the entitlement to sit on the jury in question. For as long as those conditions continue to exist it follows that conferring on Mr. Ó Maicín [BWAHAHAHAH!!!!] the rights which he asserts would necessarily result in a constitutionally impermissible exclusion of a significant number of persons from the jury panel so as to render a jury thus empanelled in breach of the constitutional requirement of representativeness. If the underlying conditions were to change then, of course, the balance between Mr. Ó Maicín’s [BWAHAHAHAH!!!!] language rights and that constitutional imperative might also change. However, for the present I am not satisfied that Mr. Ó Maicín [BWAHAHAHAH!!!!] is entitled to the type of jury which he seeks. 7.3 It follows that in my view the trial judge was correct and that the appeal must, therefore, be dismissed. 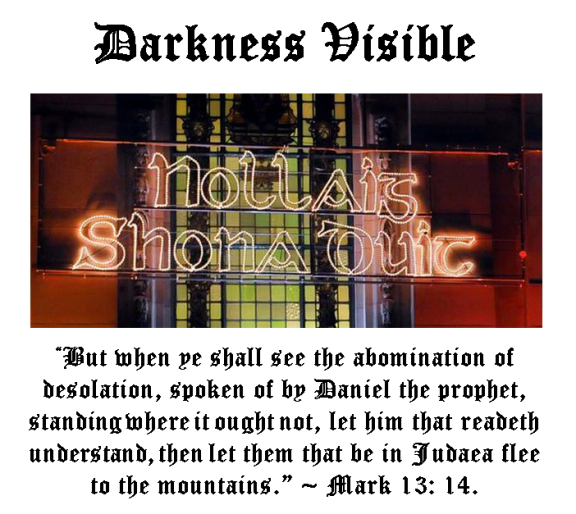 THIS MINISTRY HAS BEEN GETTING MORE HITS FROM THAT DARK LAND LATELY!!!!! NOW, WE KNOW PRECISELY WHO IS CAREFULLY USING THE WISE COUNSEL AVAILABLE HERE TO INFORM JUST DECISIONS!!!!! AMERICAPHILE MINISTRIES URGES VICTIM’S ADVOCATE WILLIE FRAZER, SPIRITUAL AUTHOR AND MEP CANDIDATE JAMIE BRYSON, CIVIL RIGHTS LEADER GEORGE CHITTICK AND PAST AND CURRENT ELECTED OFFICIALS SUCH AS BERT JOHNSTON, SAMMY WILSON, RHONDA PAISLEY, EDWIN POOTS, TOM ELLIOT, LORD MORROW, WILLIAM WALKER, MICHELLE MCILVEEN, DIANE DODDS AND JIM SPEERS AND OTHER PRO-FLAG, PRO-FREEDOM LEADERS TO CITE THIS SPECIFIC RULING IN THEIR CONTINUED ARTICULATE ARGUMENTS AGAINST THE COMING ONSLAUGHT INTO BRITISH ULSTÈR!!!!! Comments Off on WISE JURISPRUDENCE…. IN DUBLIN!!!!!! Posted in Uncategorized and tagged DEATH OF THE LEPRECHAUN LANGUAGE, JAMIE BRYSON, WILLIE FRAZER. Bookmark the permalink. 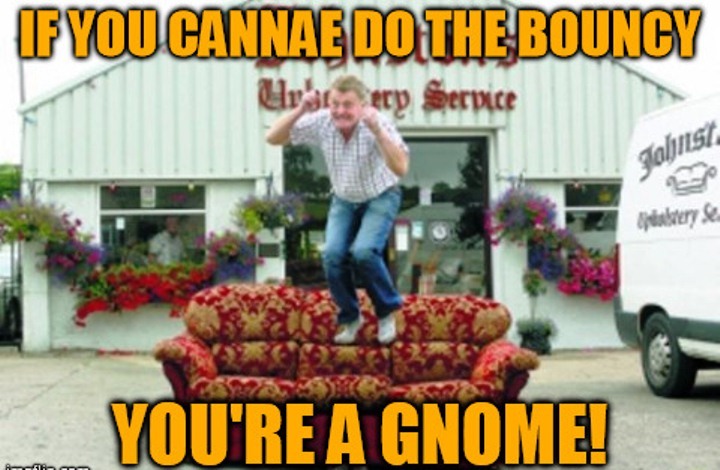 WILLIE FRAZER: THE SHOCKING TRUTH ABOUT THE GNOMISH LANGUAGE!!!!!! CIVIL RIGHTS ACTIVIST, VICTIMS ADVOCATE AND LIVING MARTYR WILLIE FRAZER COMPLETELY SHREDS AND DECIMATES SINN FEIN/IRA’S ARGUMENTS FOR PROMOTING GNOMISH!!!!! This whole [LEPRECHAUN/GNOMISH] language debate is a total and absolute waste of time and people should just ignore it. The [LEPRECHAUN/GNOMISH] language is spoken by a very few people in one country. There are absolutely no tangible benefits from learning it. Its fine that some wish to learn it and to keep it alive but for the other 99.9% of us we would much rather see the hundreds of thousands spent on something which may actually be beneficial to the community as a whole. However since it seems to be a big topic right now then lets take a cold hard look at just what the [LEPRECHAUN/GNOMISH] language actually means to you and me. In 2008 funding for it was a staggering £6.6m and Gerry Adams announced then that the Government had agreed with Sinn Fein that there would be another £20 million from the Treasury for [LEPRECHAUN/GNOMISH] broadcasting and infrastructure. The department spent £68,000 on translating documents into [LEPRECHAUN/GNOMISH] and on top of that employed two civil servants each paid between £24,000 and £35,000 for duties including “urgent translation work”. 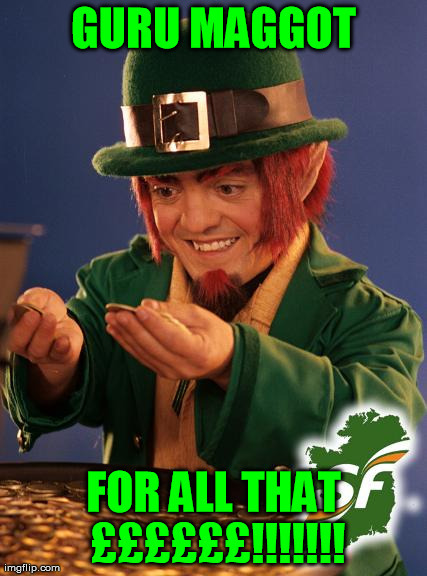 Translation of English to [LEPRECHAUN/GNOMISH] in the CCEA cost £98,028 in 2006/2007 AND cost £598,828 in 2010/2011. THE Department of Education (Sinn Fein IRA ) gives [LEPRECHAUN/GNOMISH] language schools more than three times as much funding per pupil as it gives to prep schools. Prep schools are allocated just £800 per pupil but the department allocates £3,371 for every pupil attending an [LEPRECHAUN/GNOMISH] language school. THE Department of Education also demanded that 21,000 transfer test information papers be printed and sent out in [LEPRECHAUN/GNOMISH], less than 20 were returned in [LEPRECHAUN/GNOMISH]. We then have the tens of thousands being spent replacing perfectly good street signs and as if all that isnt bad enough we have the possibility that [LEPRECHAUN/GNOMISH] language signs at the University of Ulster are to blame for Protestant students making up only 32 per cent of the population. Signs coupled with GAA tops with the names of Kevin Lynch, Bobby Sands and Long Kesh. These tops and the abuse of[LEPRECHAUN/GNOMISH] language signs are deliberately trying to make a political point and intimidate the unionist community. People are free to study dodos, dinosaurs and disappearing depleting dialects but they should do it at their own cost and in their own time. Stormont, yes our Unionest MLAs, those who say they are good value for money keeping funding this and its unnecessary. They couldnt manage to spend the £80m Social Investment Fund set up to tackle inequality and unemployment, but they could mange to spend £400,000 on consultants. 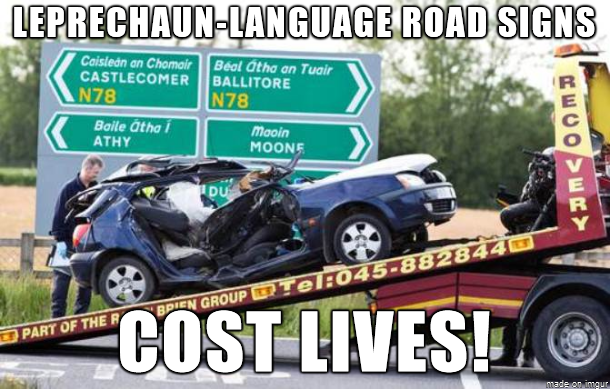 There are arguments for the promotion of the [LEPRECHAUN/GNOMISH] language but this does not mean an ever increased budget when other departments are fighting for their very survival, need I even mention the Health Service?. And as for those within our community promoting the learning of the [LEPRECHAUN/GNOMISH] language I say this, stop wasting your time and our money, the money you are being funded would be best spent on more important things that would be of benefit to your community. The Hill needs sorting out, thats the big debate, not if we should participate in the the [LEPRECHAUN/GNOMISH] language. ALL THAT THOUSANDS FOR A DEAD LANGUAGE, BUT NOT A SINGLE PENNY FOR REPARATIONS?!?!?!?! AT LEAST, SINN FEIN/IRA ARE NOW SHITTING THEMSELVES AT THE VERY THOUGHT OF EVER FACING WILLIE FRAZER IN A DEBATE OVER THIS ISSUE!!!!! 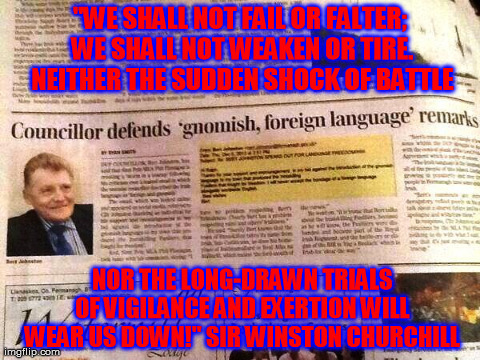 Comments Off on WILLIE FRAZER: THE SHOCKING TRUTH ABOUT THE GNOMISH LANGUAGE!!!!!! 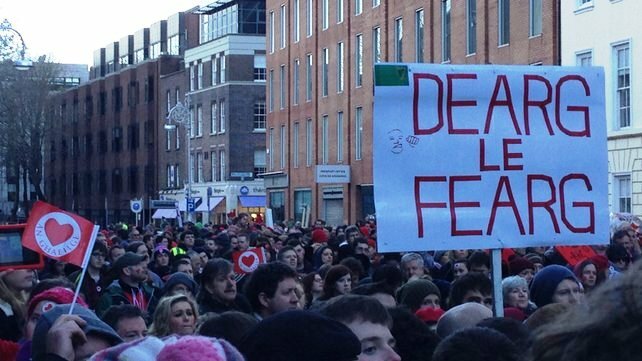 Posted in Uncategorized and tagged DEATH OF THE LEPRECHAUN LANGUAGE, WILLIE FRAZER. Bookmark the permalink. 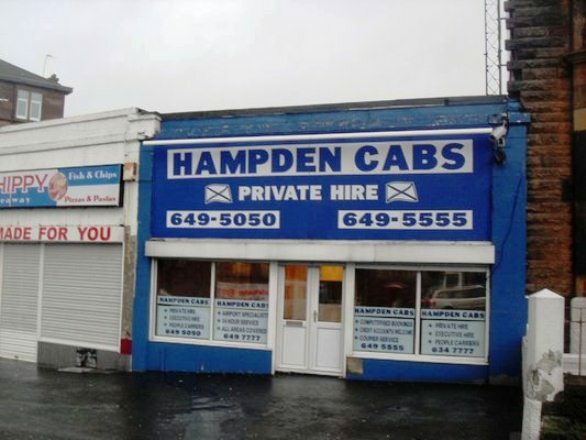 HAMPDEN CABS, YOUR CHOICE FOR SAFE ENGLISH-LANGUAGE TRANSPORT IN GLASGOW!!!!!! WE NEED MORE BUSINESSES LIKE THIS!!!! A Glasgow private hire driver is under investigation for allegedly refusing to allow [GURU MAGGOTS] to [SPEW] their [GIBBERISH] in his car. The man, who has not been named, has been accused of offloading the passengers at the side of the road at 2am on a Monday morning after they objected to his demand that they stop speaking in[LEPRECHAUN]. Enforcement officers from Glasgow City Council are now looking in to a formal complaint against the driver, who works for Hampden Cabs. 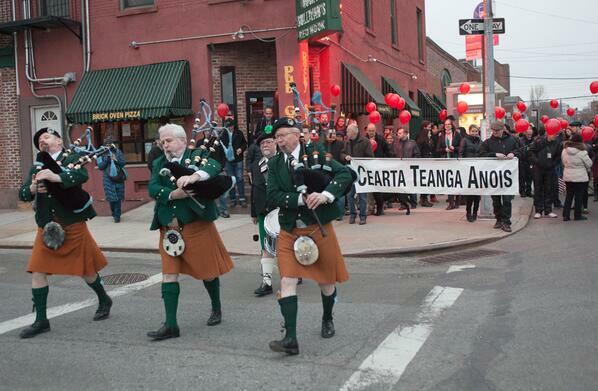 FENIAN IS NOT A “RACE”. IT IS TERRORISM!!!!! Comments Off on HAMPDEN CABS, YOUR CHOICE FOR SAFE ENGLISH-LANGUAGE TRANSPORT IN GLASGOW!!!!!! Posted in Uncategorized and tagged DEATH OF THE LEPRECHAUN LANGUAGE, HAMPDEN CABS. Bookmark the permalink.